Cast your minds back to last April when ERF attended a local horse market at St Yrieix. That day two very scared and thin ponies, a mare with her yearling filly still suckling, pulled on our heartstrings. 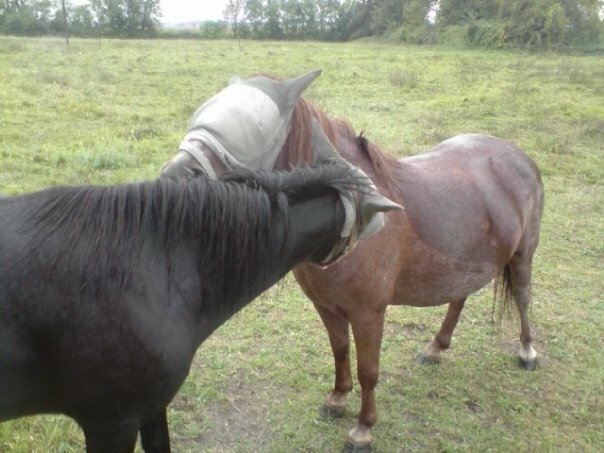 The nearest place for them to recuperate was Jenny’s yard in the Dordogne, as travelling equines any distance in poor condition is risky at best. 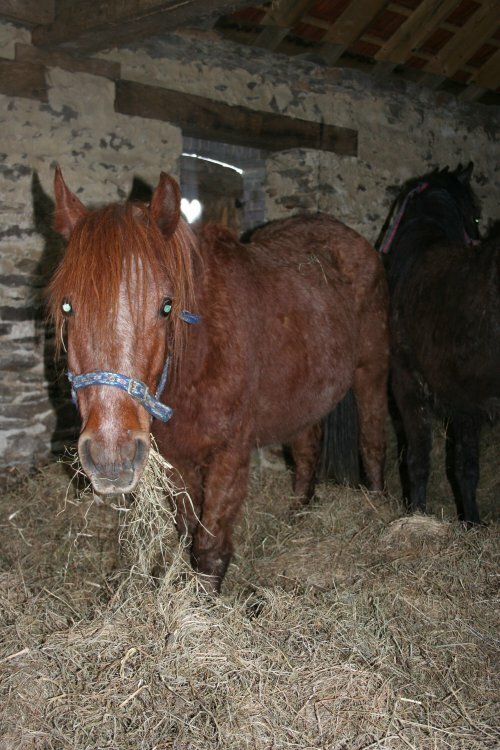 As with any new equines that come into our care, Ruby and Ebony were put into a quarantine area. A careful programme of worming and feeding was followed to allow their starved systems time to adjust to the change in diet. 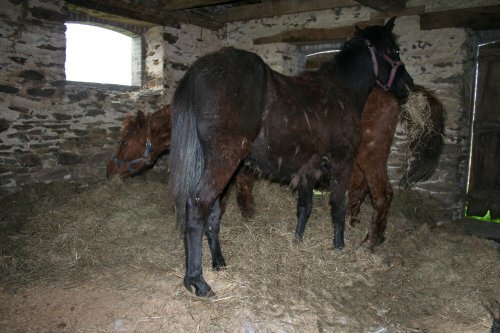 Ruby was fearful and protective of her baby, and Ebony was totally unhandled and difficult to get near. Ruby’s trust grew quite quickly, but her dislike of men generated a couple of attacks on unsuspecting males with her teeth! As Ebony grew in confidence, she thought it might be fun to play. The boxing on the hind legs game was very quickly nipped in the bud! 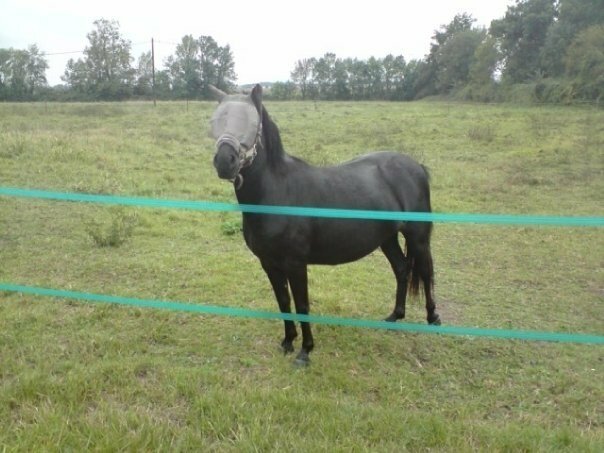 With time and specialist care Ruby & Ebony turned into two very lovely ponies which we were able to rehome together, under our adoption scheme, seven months later. It’s lovely to see them safe, happy and secure in their new lives.